In this workshop we will build Aeolian Harps, legendary instruments played by the wind. 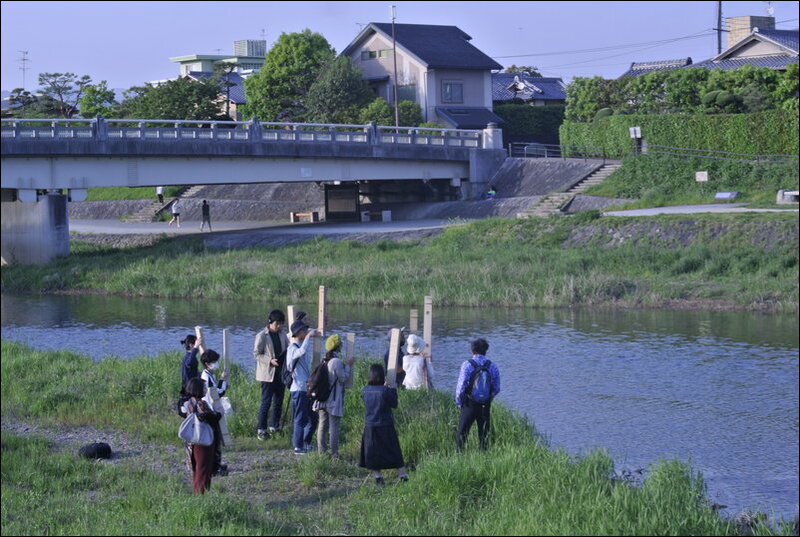 We will bring their natural singing sound to the Kamo River and develop a consciousness around wind speed, path, and direction in the surrounding environment. This workshop is for artists and researchers wanting to become more familiar with the potential of sound. Our focus will be on expanding our understanding of sound in an environment. This requires a basic vocabulary for talking about sound as a material, as well as the ability to make and use tools for investigating and manipulating sound for creative purposes. Our frame of reference will be Good Vibrations, a mobile listening kit that allows “acoustic explorers” to find abandoned sounds in their environment. By using hand-made microphones and amplifiers, listeners can tune into the subtle vibrations that usually go unnoticed. The project encourages listeners to reimagine their sonic environment by playfully exploring the world through their ears. The workshop will introduce participants to the world of sound art, while providing techniques for making tools for creating these experiences. This will include the fabrication of a hand-made microphone and amplifier for use in installations, performances, and scientific research. The goal of the workshop is to take these tools into the field and use them for artistic investigation and public engagement. 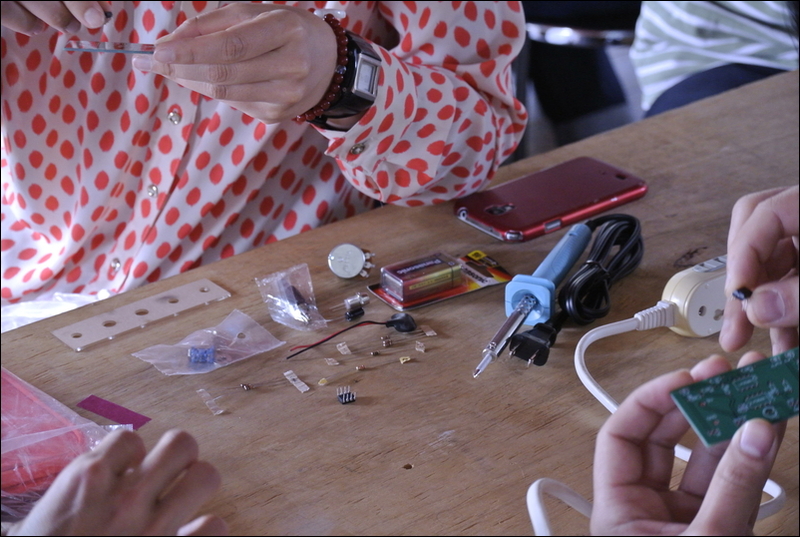 In this 2 hour workshop, we will take a handful of wires and resistors and create cacophonous bleeps and bloops. We will work through three basic circuits, making simple square wave oscillators, elevate to 8-bit sounding tones, and graduate to a simple sequencer that you can use for live performances, public installations and any other sound-related projects. 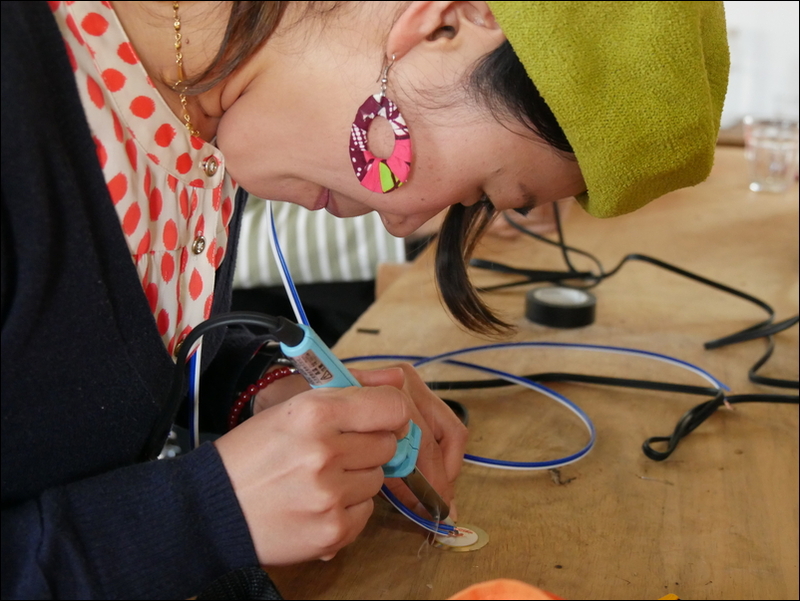 This hands-on workshop will provide tips and tricks for making your own instruments or interactive noise machines, with time to experiment and customize as you learn about electronics and sound. Prepare to get noisy and loud. You don’t need to have any electronics experience to participate! Materials and instructions will be included, and I guarantee that anyone will be able to walk out of this workshop with something pleasantly squealing and shrieking.